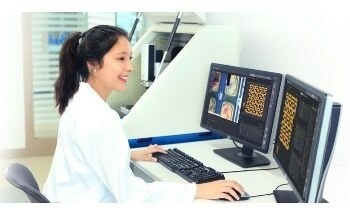 Identifying nanoscale defects is very time consuming for engineers working with media and flat substrates. 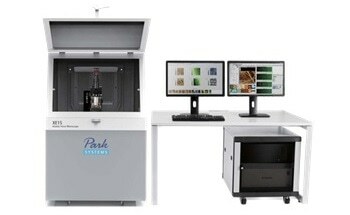 Park NX- HDM is an atomic force microscopy system which is designed to accelerate the defect review process by an order of magnitude through automated defect identification, scanning and analysis. 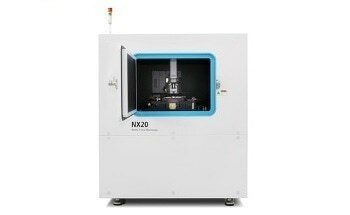 The Park NX-HDM links directly with a broad range of optical inspection tools, greatly increasing the automatic defect review throughput. 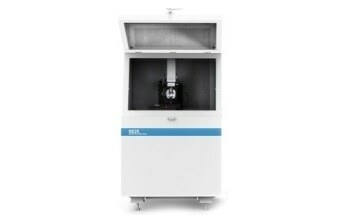 Scan after scan, the Park NX-HDM is capable of providing accurate sub-angstrom surface roughness measurements. 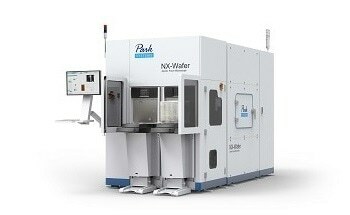 The Park NX-HDM, with the industry's lowest noise floor and unique True Non-Contact™ technology, is the most accurate AFM for surface roughness measurement available in the market. Compared to conventional methods, test runs with real defects show a 10x increase in throughput for defect review in an automated process. 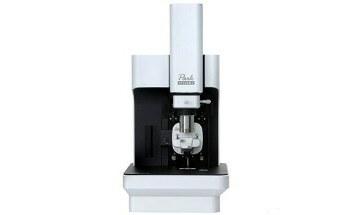 The scan speed and scan size parameters are adjustable. 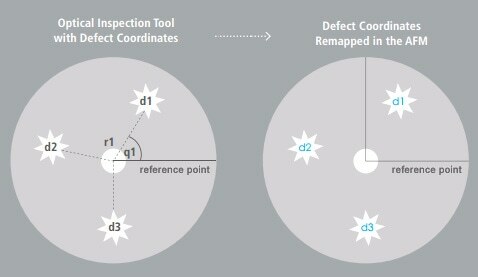 Using an advanced proprietary mapping algorithm, the defect map obtained from automated optical inspection (AOI) tool is accurately transferred and mapped onto the Park NX-HDM. 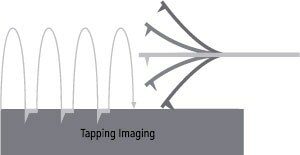 This technology allows full automation for high throughput defect imaging. Industries increasingly require ultra-flat media and substrates to address the need for ever-shrinking device dimensions. 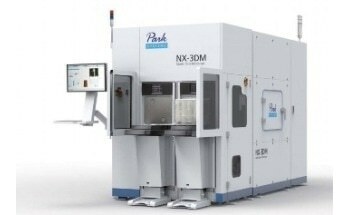 Scan after scan, Park NX-HDM provides accurate sub-angstrom surface roughness measurements. 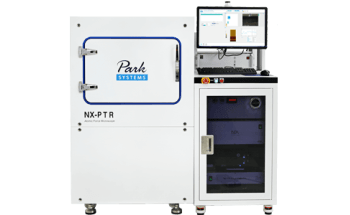 With its industry's lowest noise floor and unique True Non-Contact™ technology, Park NX-HDM is the most accurate AFM in the market for surface roughness measurement. 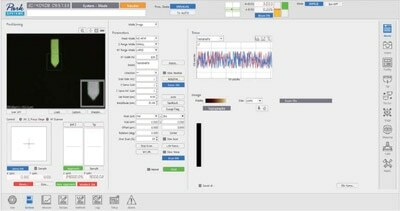 Fully automated pattern recognition and alignment is made possible for user applications through the use of a powerful combination of a high-resolution digital CCD camera and pattern recognition software. 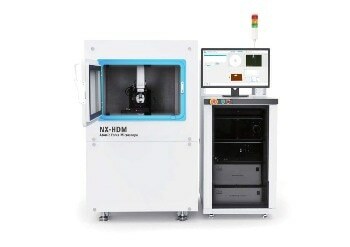 The Park NX-HDM is equipped with automated software that makes operation nearly effortless. 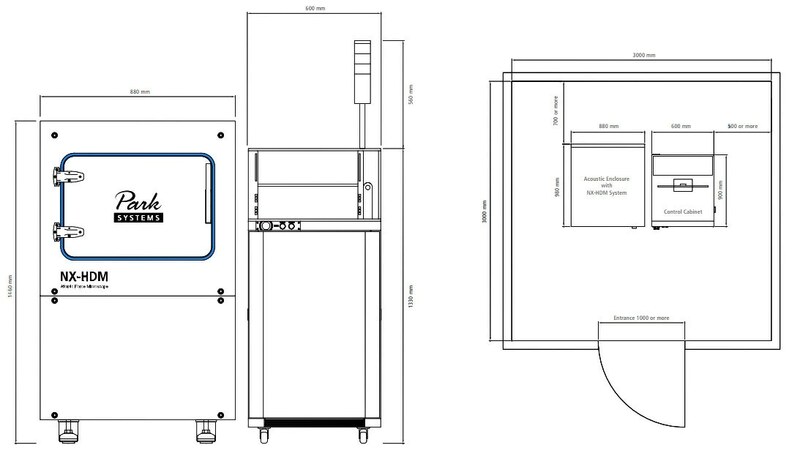 The desired measurement program is selected to get a precise multi-site analysis with optimized settings for cantilever tuning, gain, scan rate and set point parameters as a recipe. 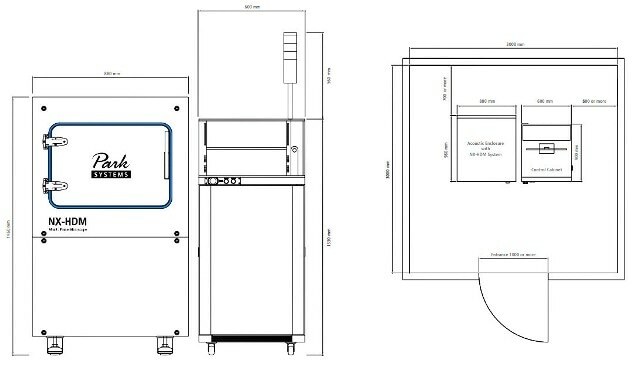 The user-friendly software interface from Park provides users with the flexibility to create recipes so the full power of the Park NX-HDM can be accessed by the user to obtain the measurements they require. It is easy to create new recipes. It takes approximately 10 minutes to create a new routine from scratch, and less than 5 minutes to modify an existing one. 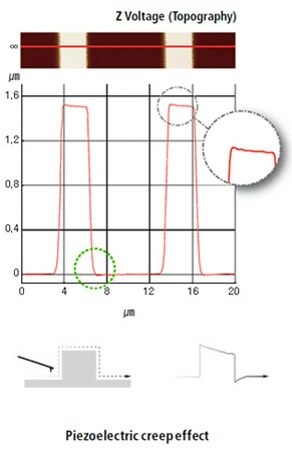 Automatic analysis of acquired measurement data. 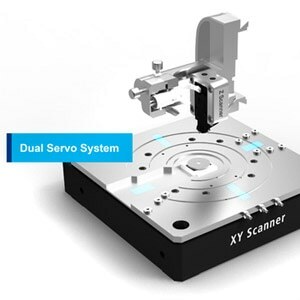 Two symmetric, low-noise position sensors are integrated on each axis of the XY scanner to preserve high scan orthogonality for the largest scan ranges and sample sizes. The secondary sensor corrects and compensates for non-planar and non-linear positional errors caused by just one sensor alone. 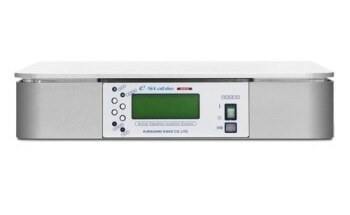 Driven by a high-force piezoelectric stack and guided by a flexure structure, the standard Z scanner has a high resonant frequency of over 9 kHz (typically 10.5 kHz) and a Z-servo speed of more than 48 mm/s tip velocity which enables accurate feedback. The maximum Z scan range can be broadened from 15 to 40 µm with the optional long scan range Z scanner. The industry’s top low noise Z detector replaces the applied Z voltage as the Topography signal. 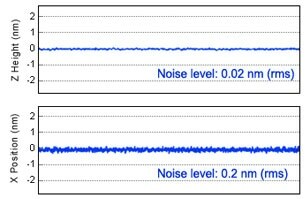 Also, the low noise XY closed loop scan reduces the forward and backward scan gap to be less than 0.15% of the scan range. 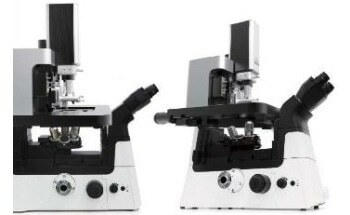 The XY scanner comprises of symmetrical 2D flexure and high-force piezoelectric stacks that offer high orthogonal movement with little out-of-plane motion as well as a high responsiveness vital for precise sample scanning in the nanometer scale. 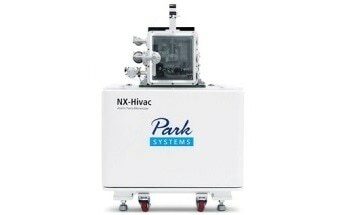 The automated software makes the Park NX-HDM operation effortless. Measurement recipes provide multi-site analysis with optimized settings for cantilever tuning, gain, scan rate and set point parameters. 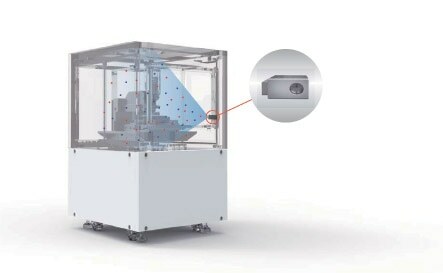 The system software for automation performs the sample measurement using a preset procedure written in a recipe file. 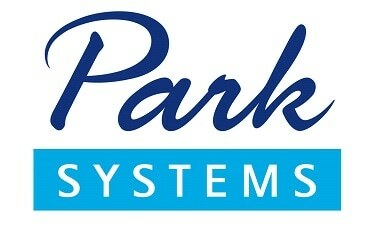 The user-friendly software interface from Park provides operators with the flexibility to perform various system-wide functions. It takes about 10 minutes to prepare a new recipe from scratch, or less than 5 minutes to modify an existing recipe. 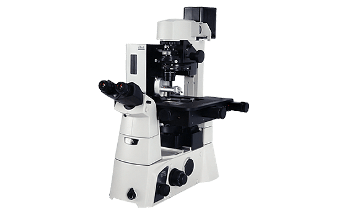 The ionization system effectively eliminates electrostatic charges. It ionizes the charged objects and is highly reliable as the system constantly generates and maintains a perfect balance of positive and negative ions without causing contamination to the immediate area. 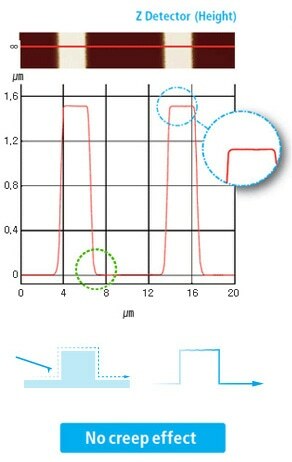 It also reduces the accidental electrostatic built-in charge that could happen during sample handling.